, Bryson was a senior planner at Leo Burnett before moving to M&C Saatchi as strategy director in 2016. She's worked across a number of blue chip brands including Woolworths, CBA, GIO, Myer, Caltex, Vodafone and Nestle. Springate says Bryson's decision to return to a creative agency from her consultancy role at PwC is a positive statement about where she sees the future of brands. “I’m really excited that Nicky has joined us. I was looking for a strategic partner to help add new smarts to our offering. This new role is deserving of her talent and I’m looking forward to seeing Nicky flourish as a senior leader within the agency," Springate says. Bryson says TBWA's "chemistry and contagious energy" is what drew her to the agency. “Strategy will always be part science, part intuition. Today, more than ever there is nothing more exciting or important than the imaginative leap creativity brings to building brands and solving business problems," she says. Bryson's appointment follows a series of win for the agency with Sheridan announcing TBWA as its creative agency this week. Amazon, PepsiCo and Woolmark have also recently come onboard as TBWA clients. TBWA\Sydney has lured Nicky Bryson back to agency life following 18 months at PwC, AdNews can reveal. 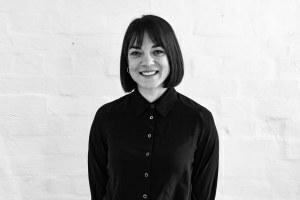 She joins as head of strategy and will report into chief strategy officer Matt Springate. Prior to leading brand strategy within PwC’s CMO Advisory, Bryson was a senior planner at Leo Burnett before moving to M&C Saatchi as strategy director in 2016.